Fibre glass re-enforced high load junction box for HEW-THERM XPI and Pyrotenax MI trace heating cables. 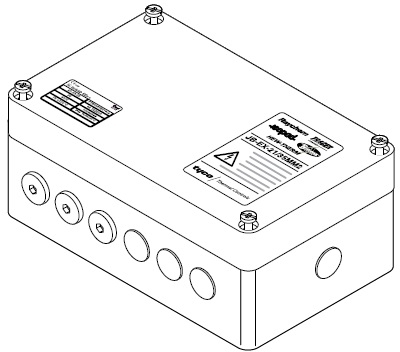 This junction box is used to make reliable connections between cold lead cables and a power cable when the load exceeds the ratings of the JB-EX-21. The JB-EX-21/35MM2 has 6 entries to enable tri-phase connections and allows for a load of 100A in any configuration (star and delta). The box is intended for wall mounting.